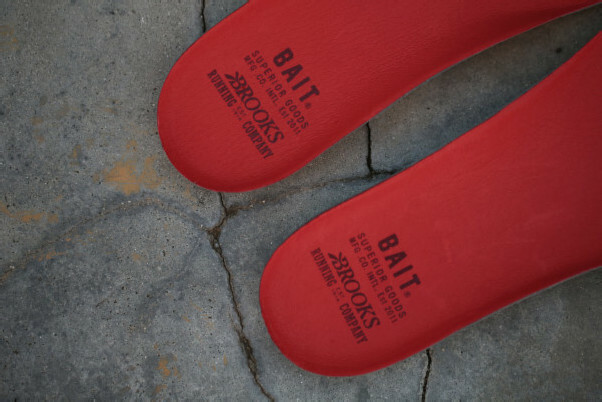 BAIT and Brooks have teamed up for their second Regent Collaboration, dubbed the “Inferno”. 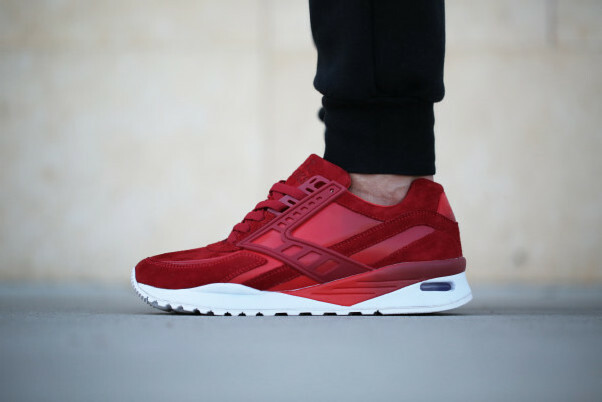 The BAIT x Brooks Regent come uniquely modified from the original model with an added collar and heel panel to break up and color block the shoes. 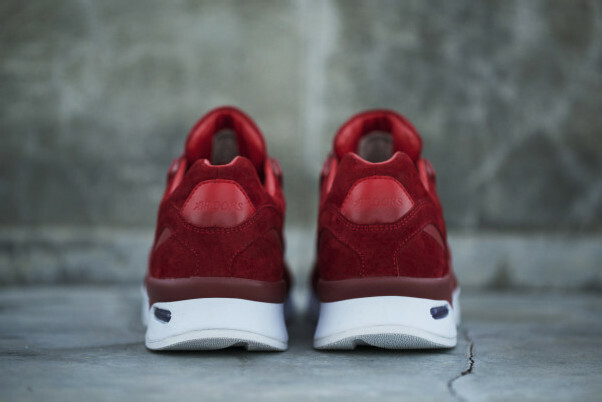 Red hues of gradients are used with a deep red, buttery pigskin suede combination. Branding is kept minimal with tonal debossings on the tongue and heel. 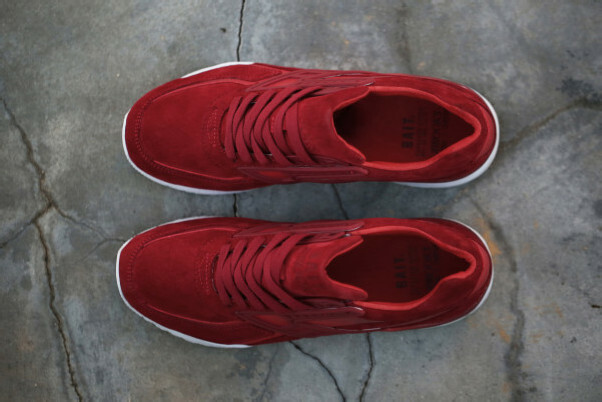 An all white midsole and outsole combination give the Inferno a clean and sophisticated finish. 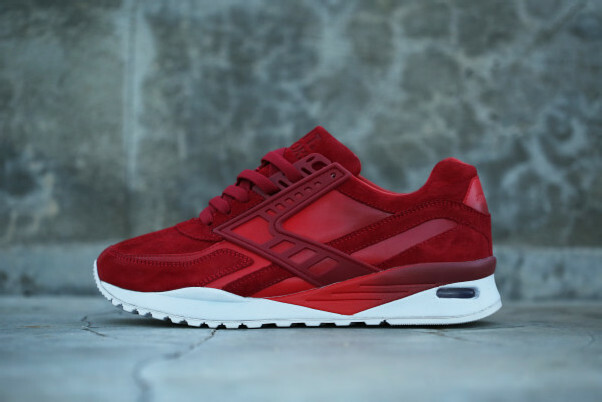 The BAIT x Brooks Regent “Inferno ” will be available this Saturday, March 5th at all BAIT chapter stores. 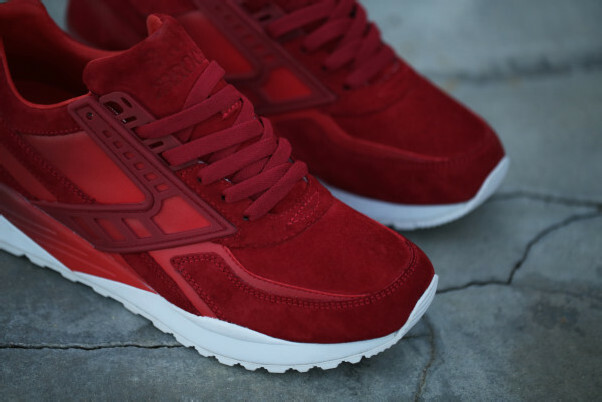 The shoes will be released in limited quantities for $125.